Because only you know your Master Password, or else the 4-digit PIN code you can set up on our iOS and Android mobile apps, no one else can access your data if your phone or computer is lost or stolen. Dashlane prompts you to enter either your Master Password or PIN code, depending on what setting you chose, before accessing your information. Your data is always encrypted on your device so that no one can ever access them without your master password. Note that when a wrong PIN code is entered three times on iOS or Android, Dashlane then asks for the full Master Password. 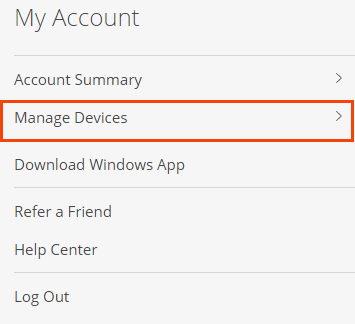 For added security, you can remotely disable Dashlane on any device by signing in to your account on the web app, clicking on "My account" in the bottom left corner of the page, and on "Manage Devices". From there, you will be able to disable your device by clicking the little cross next to it and choosing "De-authorize". Any access to your data from this device will then be denied: Dashlane will prompt you to enter a confirmation code (that will be sent to you by email) to re-authorize Dashlane on the device. Note that by de-authorizing a device, any data stored locally on this device (that hasn't been synced with our servers) only will be lost.